In 1969 an excavation at the Abbey took place in which tombs and broken tiles were found from the floor of the Church at then site. 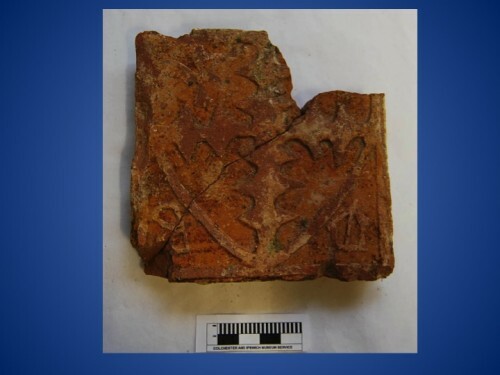 The tiles were made in East Anglia, Kent and France dating from the 13th to 15th century.A number of old tiles that were originally used in Ashe Abbey have been found and are held by Ipswich Museum. Images of the tiles can be seen in the slideshow below. In some browsers on some tablets the slideshow will not function - click on the image above instead.